The answer is that leadership is a process. People with leadership potential do not become leaders overnight. Rather it is up to existing leaders to train the next generation and show them the way. That is exactly what we have been doing for over three decades at TACSC, in teaching and living our mission of developing moral leaders who positively impact our world. Everything we do at TACSC is tied to our four curriculum pillars which are the foundation of our programs and leadership. With the support of Grolier Education Services, TACSC is founded by Marilyn Thickett at the request of the Catholic Superintendents of Schools in California. They establish an office in Downey, CA. Holds its first Student Government Days, one in Northern CA and one in Southern CA. The theme of the day was Student Elections. Summer Conferences are held in Northern and Southern California. GROLIER was an exclusive sponsor of TACSC, paying for the administration of TACSC. Student Government Days are held throughout the state of California. TACSC holds an annual track meet in Southern CA for Catholic elementary school student athletes. Moderators Workshops are conducted for both student council moderators and school principals. These are held in CA, NV and in several regions of the East coast. (VA, MD, District of Columbia, DE, PA, NJ, NY, CT and MA). Student Government Days are held in the fall each year in various regions of CA and the East Coast. TACSC holds its first Student Government Day in Flushing, NY. This begins TACSC’s presence and service to the Catholic elementary schools from MA to VA on the East coast. TACSC holds its first Summer Leadership Conference on the East coast at Chestnut Hill College in Philadelphia, PA.
TACSC office moves to Daly City, CA (Northern California) in August of 1990. TACSC reaches 640 member schools in approximately 32 states and 75 dioceses with programs on both the East and West coasts. Indirectly, TACSC touches the lives of more that 130,000 students, educators and parents throughout the United States. Student Councils of our 640 member schools actively use what they learn from TACSC programs and publications to positively influence the members of their student bodies. TACSC’s staff personally touched the lives of 4,000 students, teachers and principals. Membership brought an estimated 13,000 more students, teachers and principals in close contact with TACSC, its publications and its expertise in leadership development. William H. Hannon Foundation provides scholarships for Summer Conference beginning a wonderful and long-standing relationship of support with TACSC. TACSC Founder retires after serving TACSC and mentoring thousands of students on leadership skills for over 30 years. Gene Detre is hired as the new Executive Director. TACSC office moves to Martinez, CA. WH Hannon Foundation renews its commitment to TACSC allowing a re-launch of programs refocused on delivering life-long leadership skills to all students, including but not limited to Student Council. Student Leadership Days at St. Joseph’s, Lakewood, CA. St. Mary’s, Moraga. Leadership Challenge is introduced. Student Leadership Conferences at Loyola Marymount University and Claremont McKenna College; Fr. Greg Boyle speaks at Claremont. TACSC establishes the CORE Leadership Team, high school students from So Cal who meet four times to prepare to deliver the Archdiocese of Los Angeles Student Leadership Day on January 30, 2013. Student Leadership Day at LMU draws 150 middle school youth. TACSC trains and supports the delivery of six student leadership days throughout So Cal and Phoenix. TACSC delivers three Summer Conferences, two at LMU and one at Claremont McKenna College. students organize and deliver the program at the LA Cathedral. Mr. Hannon has been actively involved in TACSC for five years and joined the Board of Directors in 2009. He is currently the Chief Operating Officer of Ferrazzi Greenlight, Inc., a national management consultancy and training firm. Mr. Hannon also serves as the VP and CFO of the William H. Hannon Foundation; is a member of the Board of Governors of Verbum Dei High School in Watts, C; and is a Regent of Loyola High School of Los Angeles. Mr. Hannon graduated from Princeton University with a BS in mechanical and aerospace engineering and subsequently earned an MBA with honors from UCLA Anderson, where he was selected as the commencement speaker. Mr. Hannon’s involvement in Catholic youth leadership traces back to 1975 when he was a student delegate at the Catholic Association of Student Council’s (“CASC”) Summer Conference. He subsequently served on the staff for 11 Summer Conferences. Mia and her family have a long relationship with Catholic organizations, including TACSC. Three of Mia’s children have served in various capacities at TACSC – Jackie as a conference minister, Talin as a Principal/Moderator and Christian as an Administration Assistant. We’re also enjoyed meeting Jackie and Talin at recent Board Retreat as they led the ice-breakers. Mia has also served on the Advisory Council and participated in the Board Retreat survey conducted earlier in the year. An honors graduate of UCLA, Mia currently serves on the Board of the Anderson School of Management at UCLA. Mia, her husband and family reside in Los Angeles. Mia has a longstanding career with 25 years of experience in laboratory healthcare at Inter Science Institute. She started in the entry level Client Services position and working her way up to COO after obtaining her MBA from UCLA Anderson. Inter Science Institute is known for setting industry standards offering innovative testing for rare cancers and diseases, such as Pancreatic Neuroendocrine tumors (NETs, Carcinoid Cancer); diabetes and obesity; hypertension, and hormone replacement therapy since 1969. They work with top clinical laboratories, clinical trials and pharmaceutical companies globally to bring new tests to market. Dr. Galla has been involved in Catholic Education in Los Angeles, California for over two decades. His experience includes serving in the positions of teacher, coach, grant writer, administrator, principal, professor, and assistant superintendent. Areas of professional interest and involvement include school leadership, educational technology, teacher preparation, principal preparation, stewardship, and school finance. He has served as a part time professor in the School of Education at Loyola Marymount University since 2010 and is currently the Deputy Superintendent of Elementary Schools for the Department of Catholic Schools in the Archdiocese of Los Angeles. Tony and his wife Gina have three children, each of whom are proudly enrolled in Catholic schools. Ms. Jimenez was appointed to the TACSC Board of Directors in 2014. She has been involved with the organization since her first summer conference in 1996. Since then she has volunteered for many TACSC summer conferences and student leadership days. In 2005, she earned her BA in Theological Studies from Loyola Marymount University where she was the recipient of the Fr. Robert Graham, SJ Alumni Award, the highest award given to a senior woman for service and leadership. She served her alma mater as a member of the Alumni Association Board of Directors and the Women’s Leadership Council. She also served on the Finance Board for Christus Minstries, an Jesuit-sponsored ministry for young adults in the Church. She is the Campus Minister at Flintridge Sacred Heart Academy and an active member of her parish, American Martyrs Catholic Church. She resides in El Segundo, CA with her husband, Mike, and their two young boys. Dr. Susan Abelein is the Associate Superintendent for Leadership, Innovation, and Growth for the Archdiocese of Los Angeles Department of Catholic Schools and within this context serves as Director of the ADLA Dual Language Immersion Network of Catholic elementary schools. She has served as a teacher, principal, diocesan administrator, and consultant in parochial and private Catholic education for over twenty years. Prior to her position as Associate Superintendent, she served as Director of Leadership Formation for the ADLA, Associate Superintendent for Leadership and Recruitment for the Archdiocese of New York, President and Principal at St. Aloysius in New York, Principal at Verbum Dei in Los Angeles, and Principal of St. Paul of the Cross in La Mirada, California, as well as, a Teacher in Guam and California. As a Senior Consultant with Catapult Learning, Dr. Abelein has worked with more than thirty dioceses across the United States on topics including: systemic professional learning communities, operational vitality, invitational education, goal-setting, walkthroughs and supervision, Common Core ELA and Common Core Mathematics. Dr. Abelein earned a Ph.D. in Education Policy, Planning and Administration from the University of Southern California, a M.Ed. in Leadership from the University of Portland, and a B.A. in English with Secondary Education from the State University of New York at Geneseo. She holds New York State permanent certification in English/Secondary Level and School Admin/Supervision. Dr. Abelein has taught numerous graduate courses at Marian University, Loyola Marymount University, Fordham University, St. John’s University, and the University of Notre Dame. Dr. Abelein was awarded Fulbright Specialist Scholar roster candidate status in March 2011. Kathleen Ash currently serves as the Executive Director of the Catholic Education Foundation(CEF) in Los Angeles, California. 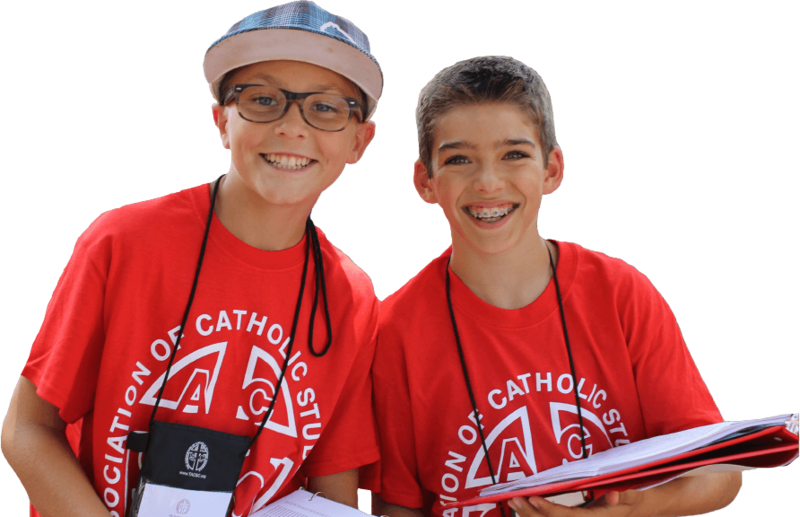 The Catholic Education Foundation is primarily committed to providing tuition assistance to the most financially deserving students attending Catholic elementary and high schools within the Archdiocese of Los Angeles. Since its founding in 1987, CEF has provided over 162,000 tuition awards, totaling more than $175.5 million dollars. Before joining CEF in January of 2015, Kathy was the Associate Dean for Business Services in the School of Education at Loyola Marymount University. She has also held the positions of Vice President of Operations at the Braille Institute of America, the Director of Finance and Operations at Marlborough School, and was also the Executive Director, Administrative Services for the School of Engineering at the University of Southern California, and the Chief Financial Officer for the School of Cinema and Television at USC. Kathy earned her B.A. in Political Science from the University of California, Berkeley, a Master’s in Public Administration from the University of Southern California, and a Master’s in Special Education from Loyola Marymount University. She lives in Playa del Rey, CA, with her husband Kevin and they have two grown children: Hilary and Connor. Dr. Erin Barisano is the newly appointed Superintendent of Catholic Schools at the Diocese of Orange. Dr. Barisano spent the past five years as an assistant superintendent and WCEA Elementary Commissioner in the Archdiocese of Los Angeles where she worked with over 200 elementary schools in the process of school improvement and accreditation. She currently serves as a part-time faculty member in the Catholic School Leadership Academy at Loyola Marymount University where she earned her doctorate degree in Educational Leadership for Social Justice. Over the past twenty years, Erin served the Archdiocese of Los Angeles as a middle school teacher and elementary school principal. She is a mission-focused leader who is committed to supporting principals in leading their communities to faith and excellence. Dr. Barisano is a proud product of Catholic education. She earned her undergraduate degree from the University of Notre Dame and a masters degree in Catholic School Administration from Mount St. Mary’s University. Dr. Barisano’s research interests focus on dimensions of spiritual leadership for Catholic school principals. She has presented at educational conferences across the country and will be published in the Journal for Catholic Education next spring. She is a member of Alpha Sigma Nu and Kappa Delta Pi and is the recipient of the Excellence in Educational Leadership Award from the University Council for Educational Administration. Erin recently relocated to Huntington Beach, CA. She and her husband, Bart, have been married for twenty-one years and enjoy life with their two children, Sophie and Casey. South Los Angeles native and long-time advocate for Catholic schools in Los Angeles’ inner-city, Antonio Felix serves as the Director of the LMU School of Education PLACE (Partners in Los Angeles Catholic Education) Corps Program – a nationally recognized Catholic teacher service corps, housed within LMU’s Center for Catholic Education. Mr. Felix oversees the program’s mission to serve under-resourced schools in the Archdiocese of Los Angeles, Diocese of Orange and Diocese of San Bernardino through the program’s three pillars – professional development, community living and spiritual growth. Mr. Felix resides in South Los Angeles with his wife and three children. Mr. Felix formerly served in several capacities at Nativity Catholic School, in South Los Angeles, including principal. Antonio also served on the Archdiocese of Los Angeles Elementary School Leadership Council as the Deanery 16 Chairperson and as a Western Catholic Educational Association (WCEA) Visiting Committee Member and WCEA Visiting Team Chairperson. He serves as a board member for STEP (Success Through Education Program) – a non-profit organization whose mission is to provide inner-city students scholarships to local Catholic elementary and high schools. Mr. Felix earned his master’s degree in Elementary Education along with a California Teaching Credential from Loyola Marymount University, and was awarded the LMU School of Education Bilingual Educator of the Year Award. Antonio returned to LMU and earned a second master’s degree in Catholic School Administration and a California Administrative Services Credential. Mrs. Annette Finnane was appointed to the TACSC Board of Directors in May, 2014. Mrs. Finnane worked as Associate Director of TACSC from 2011 to 2013. She has also held a broad range of volunteer positions in the local school district related to fundraising programs, social events, student orientation and student volunteer service. Mrs. Finnane is an active member of her local Catholic parish and has been involved in many ministries including serving four years on the Pastoral Council and as a member of the Pastoral Strategic Planning Committee. Mrs. Finnane graduated from Santa Clara University with a Bachelor’s degree in Finance. She spent 11 years in the Real Estate Group of Union Bank of California before leaving to stay home and raise her three children. Mrs. Finnane’s involvement in Catholic youth leadership traces back to 1975 when she was a student delegate at the Catholic Association of Student Council’s (“CASC”) Summer Leadership Conference. She subsequently served on the CASC staff for several years. Mrs. Finnane currently resides in Northern California with her husband and family. Mr. Lionetti is a 1987 Graduate of Washington State University with a Major in Business Administration and Minor in Marketing. Don worked for the Xerox Corporation for 8 years and joined the Microsoft Corporation 14 years ago as an Account Manager where he has served the needs of Federal Government clients. Presently and for the past 8 years, Don’s talents have led him to service the Native American tribal government and gaming organizations as well as the Native Alaska Corporations encompassing the entire US market. He is passionate about technology and helping his Native American clients discover solutions to help tribal government and gaming organizations gain efficiencies and better serve their constituents. Don also chairs the Marketing Advisory Board and serves on the National Board of Advisors for the Carson College of Business at Washington State University. He and his wife of 24 years, Julie, reside in Bellevue, WA. Nella McOsker, a former TACSC delegate and summer conference leader, is a Director at High Lantern Group (HLG) where she advises clients in a range of industries including retail, tourism, healthcare, and technology. She manages projects in strategic planning, corporate communications, stakeholder engagement, and event planning. Prior to joining HLG, Nella participated in the Coro Fellowship in Leadership and Public Affairs in Los Angeles where, among other projects, she managed a local campaign, conducted a research study for a local government agency, and crafted a comprehensive communication strategy for a social enterprise incubator. Nella was a Teach For America corps member in Chicago and went on to teach for the KIPP Network in the South Bronx where she managed and coached new teachers. Nella was a regional captain for Educators 4 Excellence, a nonprofit focused on elevating the teaching profession through policy and advocacy. She is involved in the Los Angeles chapter of Leadership for Educational Equity, a leadership development organization working to end educational inequity. Nella graduated with honors from the University of Notre Dame with a degree in Political Science an interdisciplinary minor in politics, philosophy, and economics. The Most Reverend David G. O’Connell is the Episcopal Vicar of the San Gabriel Pastoral Region, one of the five Pastoral Regions in the Archdiocese of Los Angeles. He was appointed Titular Bishop of Cell Ausaille and Auxiliary Bishop in 2015. Bishop O’Connell received a BA in Philosophy and English Literature from the University College Dublin in 1975, a Bachelor of Divinity from Maynooth College in 1977 and a Masters of Spirituality from Mount St. Mary’s College. Mr. Oswald was appointed to the Board of Directors in January 2010 and served two terms as President of the Board through June 2014. Beginning in 2008 and working closely with Jim Hannon, Mr. Oswald helped drive the work of the TACSC Force, a group of TACSC alumni helping to bring new energy and a change in direction to the organization. He worked closely with then Executive Director Gene Detre to bring about a series of well-received changes to the 2010 TACSC Summer Leadership Conference in Southern California, including the introduction of the MAGIS Community Service Project and the Parent’s Sunday Program. In 2012, he created the Core Leadership Team (100+ high school students from across the Archdiocese of Los Angeles) to serve as staff members to the TACSC Student Leadership Days, including the 500+ Archdiocese of Los Angeles Student Leadership Day at the Cathedral of our Lady of Angels (2013) as well as to staff our Summer Leadership Conferences. Over the last three years, he has raised nearly $100,000 for scholarships to send underserved middle school students to the TACSC Summer Leadership Conferences. Mr. Oswald has a long history in Catholic youth leadership having first been a student delegate at the 1972 Catholic Association of Student Council’s (“CASC”) Summer Conference. He then served as a CASC Senator, a CASC Summer Leadership Conference staff member and was president of the CASC High School Cabinet. He has remained tangentially involved with TACSC since 1972. Mr. Oswald graduated from Stanford University in 1982 with degrees in Urban Planning/Organizational Policy Analysis and Business. He works today as a management consultant/organizational strategist for Gensler Los Angeles, teaches classes in youth leadership and innovation, volunteers with Homeboy Industries, and resides in Los Angeles with his wife and two daughters and their labradoodle Henri. Ms. Paetzold recently joined the TACSC Board of Directors. She currently hold the dual position of Principal at Notre Dame High School and Notre Dame Academy Elementary in Los Angeles. She has reorganized and energized her student leadership program and continues to educate others in her successful methods. Mr. Slattery was appointed to the TACSC Board of Directors in 2010 and has served in various roles since that time. He has spent his career working in the building and technology fields, primarily completing a wide variety of projects for Public agencies. He has been the President and General Manager for corporate Holding Companies, as well as CEO or President of a diverse set of operating entities. For the last 25 years, he spent his career assisting socially and economically disadvantaged groups establish stable businesses and prosper in government contracting. Semi-retired, he is now building several family businesses in Denver and other cities. For the past 20 years, he has been a Board Member, Trustee, Regent or Chair of several Catholic educational and non-profit boards, including Mayfield Senior School (Pasadena) and Loyola High School (Los Angeles). He has also served on Pastoral Councils and Strategic Planning Committees for parishes in the Los Angeles area. Recently, he facilitated the new five year Strategic Plan for the National Christ Child Society in Washington, DC. Mr. Slattery has been involved in TACSC since two of his children attended the TACSC Summer Conferences between 1996 and 2000. He graduated from Loyola High School and UCLA, and completed additional course work in undergraduate engineering and graduate business and management courses at LMU. Mr. Slattery resides in Pasadena, CA and has been married 38 years to his wife Carol. He has three grown children. Beverly Wittekind was appointed to the TACSC Board in February of 2015, and is grateful for the opportunity to serve an organization that she has been connected with (in one way or another) since she attended a Summer Leadership Conference in 1977. Ms. Wittekind currently serves as the Vice-President and General Counsel for The Ensign Group, a publicly traded healthcare company in the post-acute sector. She has held this position since 2009; prior to that time, Ms. Wittekind was General Counsel for The Ensign Group’s wholly owned subsidiary (Ensign Services), which provides administrative and operational support to skilled nursing and assisted living facilities and home health/hospice agencies. She is entering her 16th year with the Ensign companies. Ms. Wittekind is a graduate of Creighton University, where she received her Bachelor’s Degree in Psychology in 1986; she received her Juris Doctor from the University of Notre Dame in 1989, and is an active alumnus of both Universities. She has been engaged in the practice of law since 1989, in both private practice and as in-house counsel for acute and long-term care providers. Ms. Wittekind and her husband have two children in college, and make their home in San Clemente, California. Dr. Wynn Washle, Ph.D., was appointed to the TACSC Board of Directors in January 2010 and has served as Board President from May 2014 until the end of 2016. Dr. Washle is a Broker Associate/Partner at The Group Real Estate in Fort Collins, Colorado. He has served three terms on the Board of Directors at The Group Real Estate and has served on the Boards of Directors for various non-profit agencies. Dr. Washle is actively involved with Foothills Rotary and was the 2010-2011 Campaign Co-Chair for the United Way of Larimer County. Dr. Washle’s involvement in Catholic youth leadership traces back to 1975 when he was a student delegate at the Catholic Association of Student Council’s (“CASC”) Summer Conference. He subsequently was a member of the CASC Senate and served on the Summer Conference staff for the eight years. His daughter, Laura Jo, was a TACSC delegate and has volunteered on the Summer Conference staff since 2006. Raised in Southern California, Dr. Washle has been a resident of Fort Collins since 1989 where he lives with his wife and two daughters. Anthony Boulahoud has been a part of TACSC for ten years. He was a Summer Conference Delegate in 2008 and has a deeply rooted passion for leadership development and public administration. He served as a volunteer and workshop facilitator year-round at Student Leadership Days and Summer Conferences. While attending Damien High School in La Verne, CA, he brought TACSC onto his campus. In November 2015, Anthony was appointed as Associate Program Director to oversee the growing High School Program. Anthony develops and maintains relationships with all thirty partnering High Schools over four counties and Archdioceses in California and Arizona. He also oversees all volunteers across every TACSC program as well as committees. Anthony is a senior at the University of Southern California (USC) studying Policy, Planning, and Development with an emphasis in Public Policy and Law. He has an extensive background outside of school and TACSC working on a Presidential Campaign and Members of Congress. Anthony is also involved at his Parish, teaching catechism, leading the youth program, and serves as a chairman of the annual festival. On campus, Anthony holds many leadership positions including President of the Lebanese Club, Member of Phi Alpha Delta, Undergraduate Ambassador, Student Government Delegate, and an Associate with the Political Institute. Gene Detre was appointed Director of Programing in November 2013. Prior to this position, he had been Executive Director for four years, member of the TACSC Board of Directors for five years and served as both President and Secretary of the Board. Gene has previously worked as a high-end retail buyer in several Bay Area based companies. He additionally managed the development of several successful products and, utilizing his public speaking skills, trained product presenters for major home shopping channels. Gene’s involvement in Catholic youth leadership began in 1983 when he attended his first summer conference as a student delegate. He has worked as a staff member since 1984 and has been involved in many different levels of the organization. Gene has organized and executed Student Leadership Days and Summer Conferences in several regions, as well as mentored individual students and staff through workshops and activities. He uses his extensive experience in training presenters to maximize the potential of the volunteer staff. He is passionate about Catholic youth leadership and is excited to help students identify, develop and maximize their leadership potential. Gene graduated from UC Riverside with a degree in Psychology and is currently completing his Master’s in Education. Gene is married with two children and lives in Northern California. Heidi Johnson is one of the founders of the non-profit organization, Spiritual Care Guild at Childrens Hospital Los Angeles. With the help of friends, Heidi used her background in sales and marketing to start a 501c3 non-profit to provide chaplains to Childrens Hospital Los Angeles. Today, the Spiritual Care Guild at Childrens Hospital Los Angeles funds and provides non-denominational chaplains 24/7 for children and families. The nonprofit organization has funded and grown the Spiritual Care Department, helped raise millions of dollars, created a Spiritual Care endowment, helped the building of a new interfaith center and has become a national template for pediatric chaplaincy. A strong believer in philanthropy, Heidi founded and co-chaired the Junior Ambassadors program at Children’s Hospital Los Angeles, which engages children and families in giving back together. In addition, she is also the creator and founder of the popular blog, www.Charity-Matters.com which tells the stories of small non-profits and their beginnings and a regular contributor to Thrive Global. Her passion is using her voice to make a difference and connecting people and causes that matter. A strong believer in education, Heidi currently serves on the Chancellor’s Advisory board at Texas Christian University (TCU), a board member at the nonprofit Project Giving Kids, a board member at Christ Child of Pasadena, and of the Spiritual Care Advisory Board at CHLA. She is a past Trustee of her Alma Matter, Mayfield Senior School, and Co-Chaired the board at Verbum Dei High School in Watts for the past five years along with establishing the board’s marketing committee. Most recently, she has been recognized as a First Lady of Urban Compass, Alumni of the Year at Mayfield Senior School and is a 2018 recipient of the Cardinal’s Award. Heidi has combined her love of empowering and educating youth in her current role as Executive Director for The Association of Catholic Student Councils, also known as TACSC. TACSC is a 34-year-old non-profit Catholic Leadership Organization, serving middle and high school students, which has grown under her leadership. Heidi and her husband Ron reside in Pasadena with their three sons; Hunter, Henry and Ford. Heidi is a proud alumnus of USC.